Once under it's spell why would you not go and buy a bike and travel the world. Well, yes I'm sure there are lots of reasons, but this book is the next best thing. Sam's delivery is spot on. His observations of who he meets and where he goes are so well described extending well beyond the obvious. I think I have read all Sam's books now and have considerable disappointment there are no more to come. Many thanks Sam! I've read two of Sam's books and listened to two of them. They are all brilliant. When narrating his audiobooks he's like that diverting story teller around the camp fire. 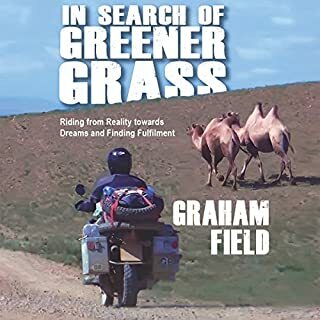 If you like travel books (motorcycle or not), Sam's books are a must. Tortillas to Totems is no exception! 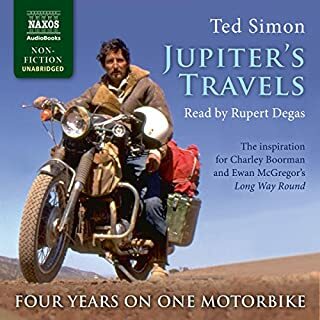 what an amazing adventure, beautifully lived, fascinatingly written and a complete joy to listen to. This is not a motorcycle book.... the motorcycle is simply the vehicle (metaphorical and literal) for the story. Sam Manicom is a brilliant story teller and therefore it is only appropriate he narated his own stories. These are in my opinion show how wonderful the world is and how the vast majority of people are both friendly and generous when given a chance. If you could sum up Tortillas to Totems in three words, what would they be? After listening to the first three books in the series my hopes were high for another thrilling adventure told by the author himself. I was not disappointed. 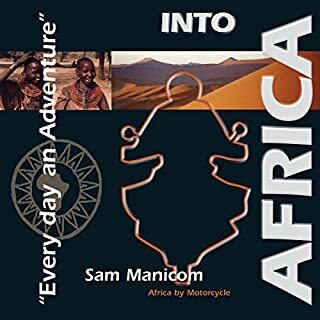 Happily this book could possibly be the best of Sam Manicom’s and that is say a lot, because the other three books are outstanding yarns of life literally on the road. At times Sam’s reflective thinking is close to the study of nature and religious belief. 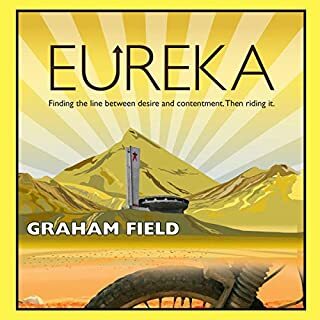 He almost coins a new genre of adventure motorcycle theology. 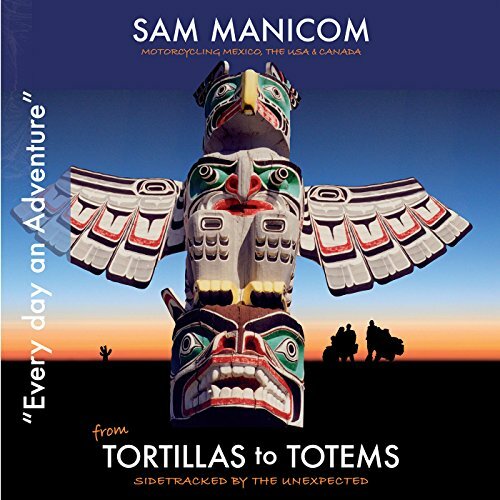 Last book in the series that has taken Sam around the world and did not disappoint, A journey through the Americas with all the sights sounds and emotions is enough to make you want to pack your bags and do the journey yourself, exactly what a travel book should be. As with his other three audiobooksei Sam, the author narrates the book himself. 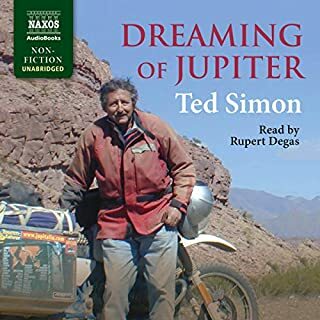 For me this feels like I am along for the ride with him and Birgit, his girlfriend on their journey from Mexico up to Alaska, and over to New York, visiting many U.S and Canadian states along the way. I love Sam's books, he has a real ability to conjure a picture for me, and his narration is enjoyable, comforting and thoroughly enthusiastic. 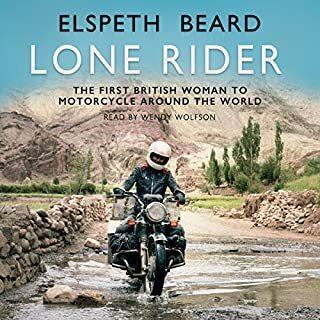 An absolute delight for motorcyclists, adventurers, travellers and anyone who loves a great slice of life story. Do yourself a favor, if you haven't listened to the first 3 of Sam's books - what are you doing with your life! Once again, listening to Sam's own telling of his round the world journey is just amazing. The people, the places and Sam's unique insights into the world of adventure travel is such a pleasure. I so often re-listen to Sams travel when i need some reassurance that the world is not all about the 9 to 5 and that not all people are just in it for themselves. This last installment is another testament to what adventure travel is about and the only disappointing part is that it's the final chapter of such an inspirational journey. The 4th and final for Sam's 8 year adventure. Really well written amd read!